The client commissioned one of my Vanity Fair ‘SPY’ style illustrations. 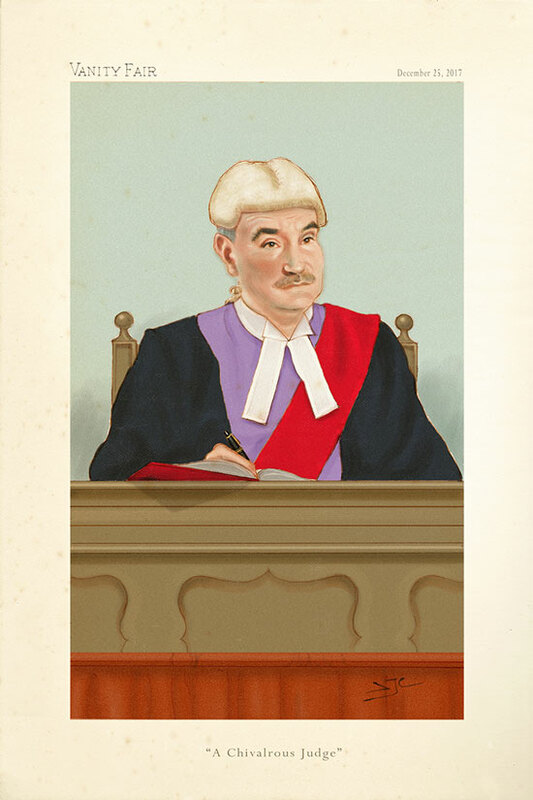 ‘SPY’ AKA Leslie Ward, would often paint prominent judges and barristers of the time. These are gentle caricatures, nothing too extreme. As Leslie Ward once said: ‘If I could sum up the art in a sentence, it would be that caricature should be a comic impression with a kindly touch, and always devoid of vulgarity’.